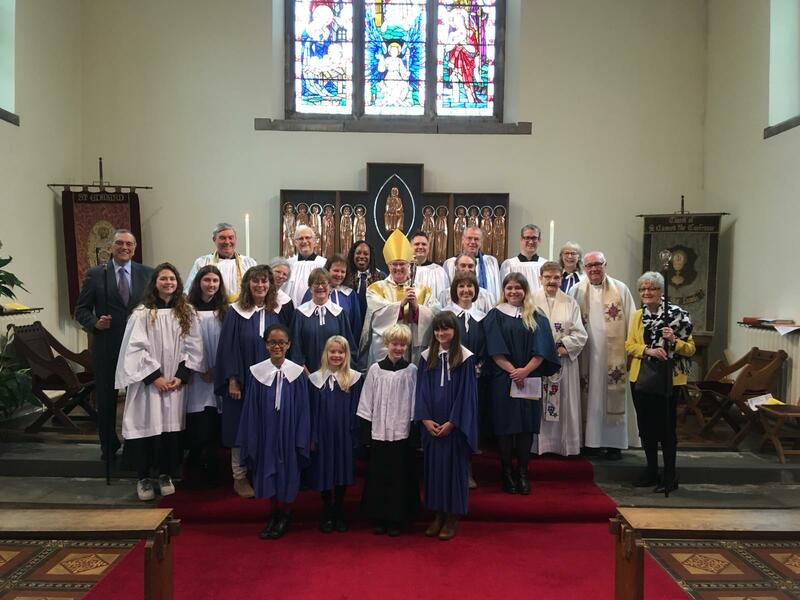 Bishop June joined us on 14th October to celebrate the 50th anniversary of the consecration of the completed St Edward's Church building. 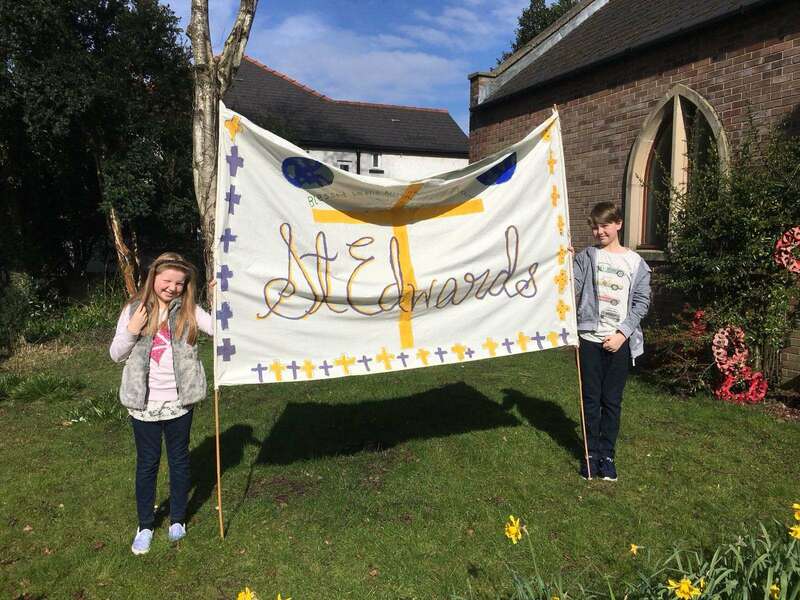 The Sunday School designed their own banner to take part in the Palm Sunday Procession. 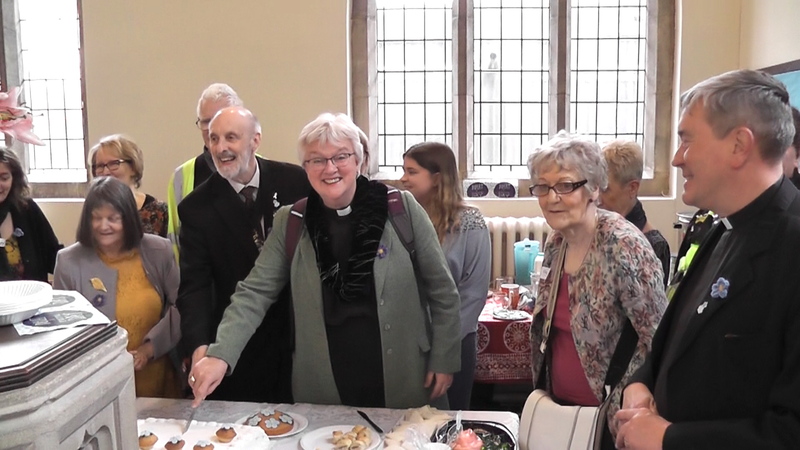 The Forget Me Not Café celebrated their first anniversary with a special party attended by many friends and supporters, including Bishop June and the Lord Mayor and Lady Mayoress. 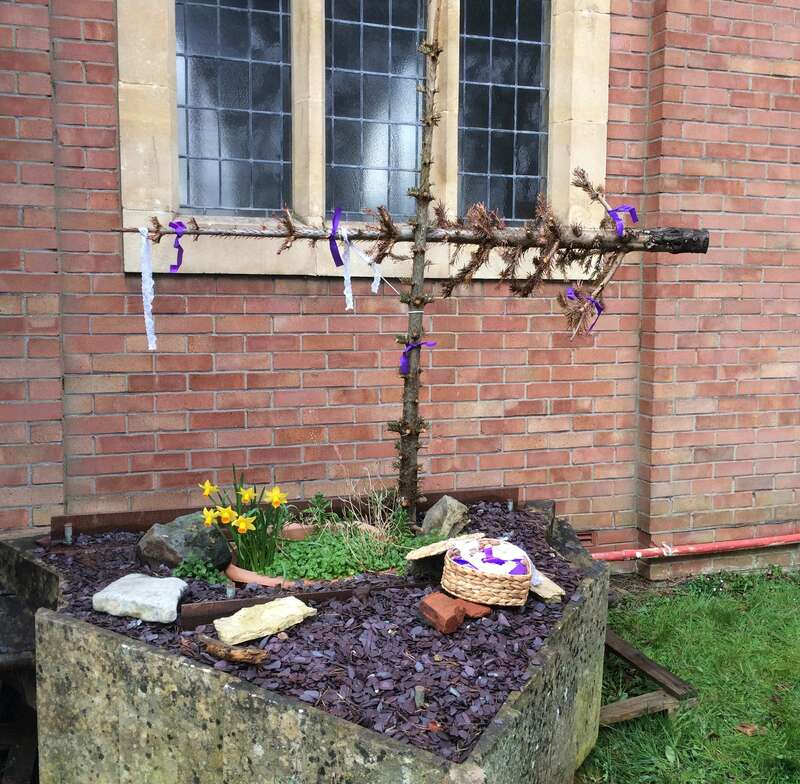 Last year's old Christmas tree was used to fashion a rough cross for Passiontide, and placed in the "Bell Garden" made from the old bell housing. 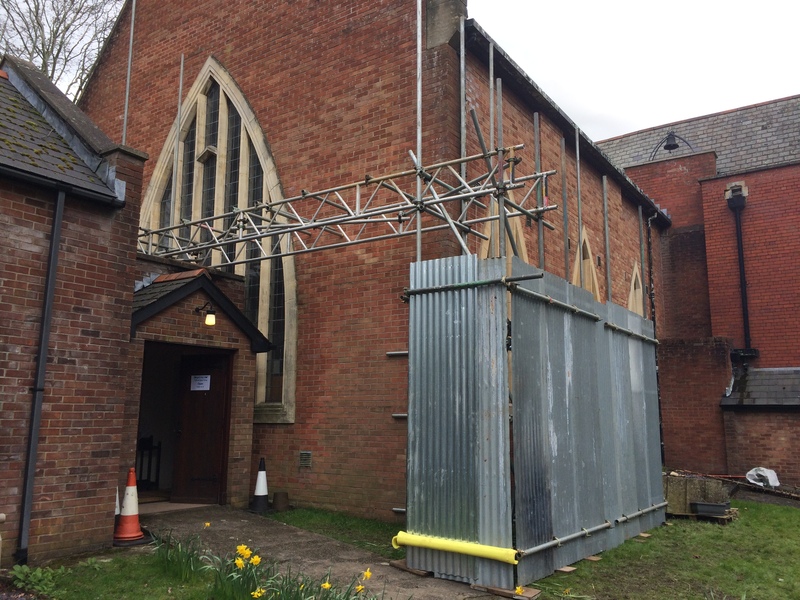 Repair work to the coping stones at the west end of the nave required the erection of scaffolding. 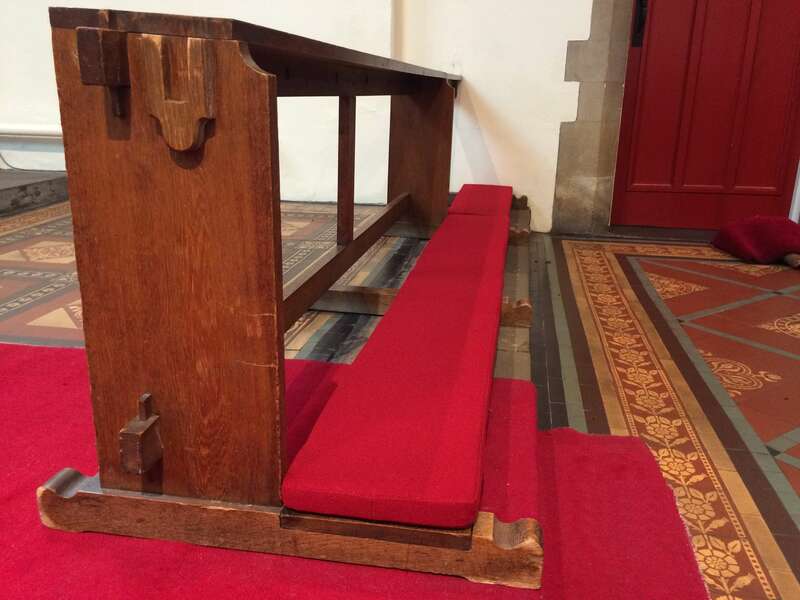 The lovely new kneeler was purchased with money from the raffle organised by Janice Goble, a donation from Nell Williams’ family and an anonymous donation. 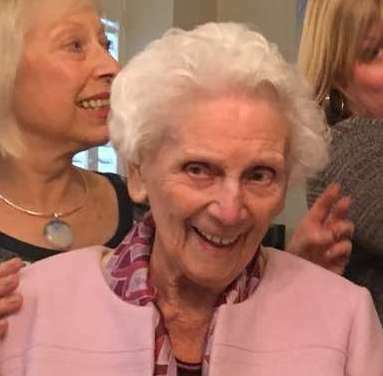 Megan died in May, having served St Edward's and the Parish of Roath faithfully all her life. 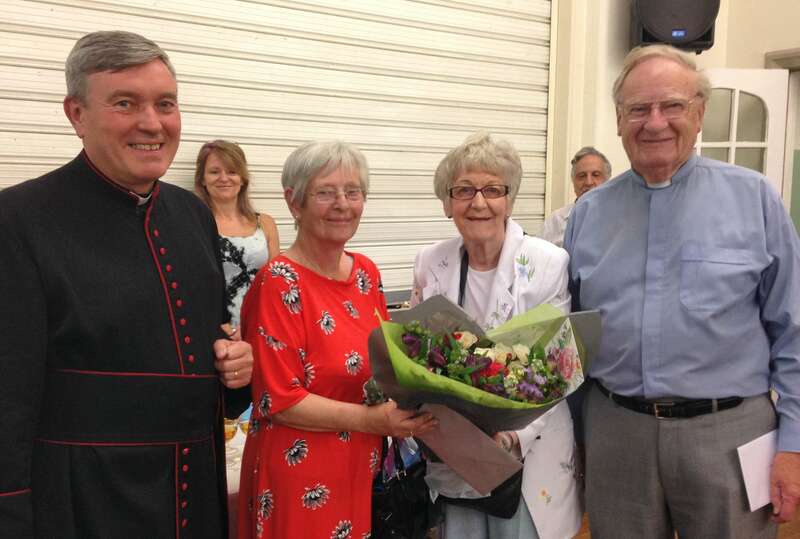 Canon John Woodward celebrated 60 years in the priesthood in June. 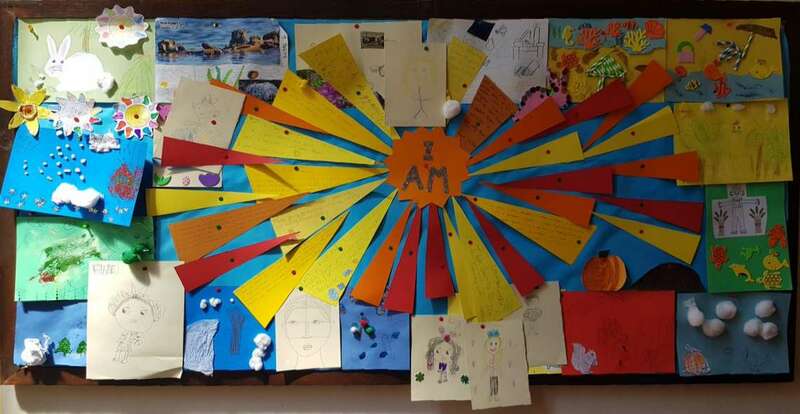 The Collage was made by St Edward’s Sunday School, with pictures of the four seasons around the borders, and space for people to add their own details in one of the spare slots. 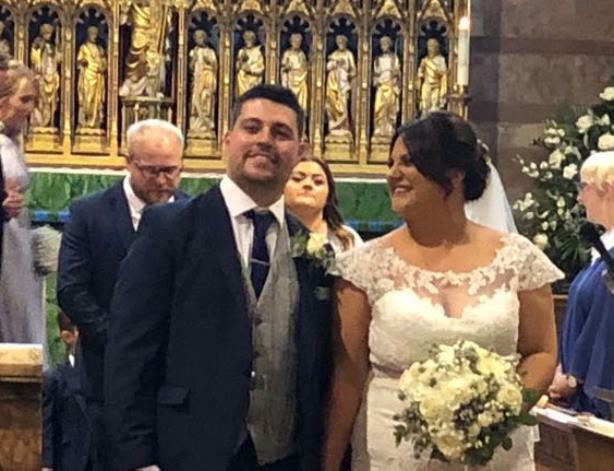 Joseph and Vicky married at St Margaret's 2nd August. 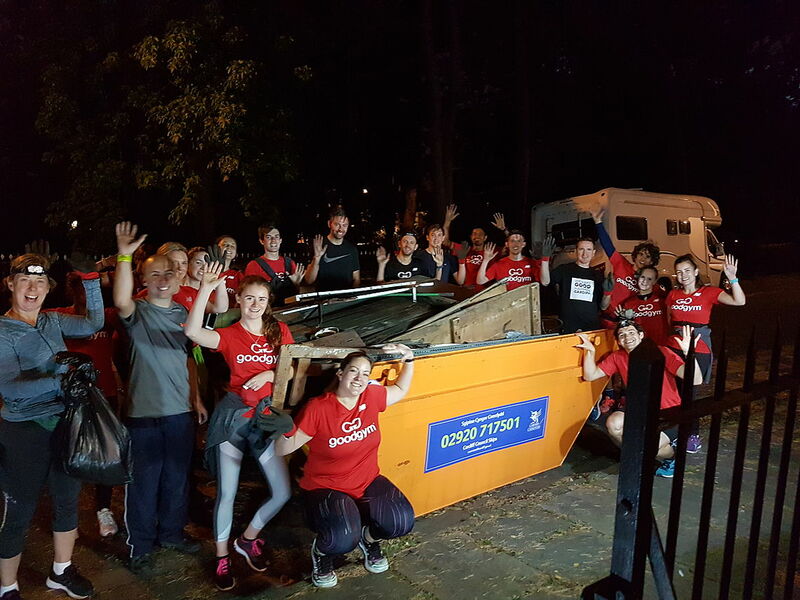 Thanks to the wonderful efforts of local volunteers “Goodgym”, who visited us on 2nd October, we cleared the church cellar to store the large variety of tools required for the Gardening as Therapy initiative. Read their report here. They returned in December to help cut back some of the bushes. Making a start at the "Gardening as Therapy" project with support from Age Cymru. 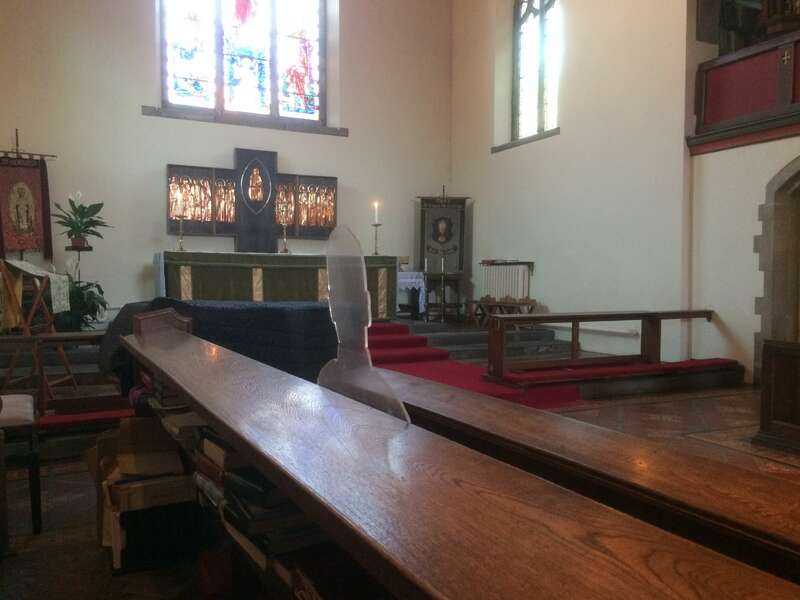 In the weeks before the Armistice Centenary ghostly figures began appearing in various parts of the church. Very effective, provoking lots of discussion. Poppy Rocks. 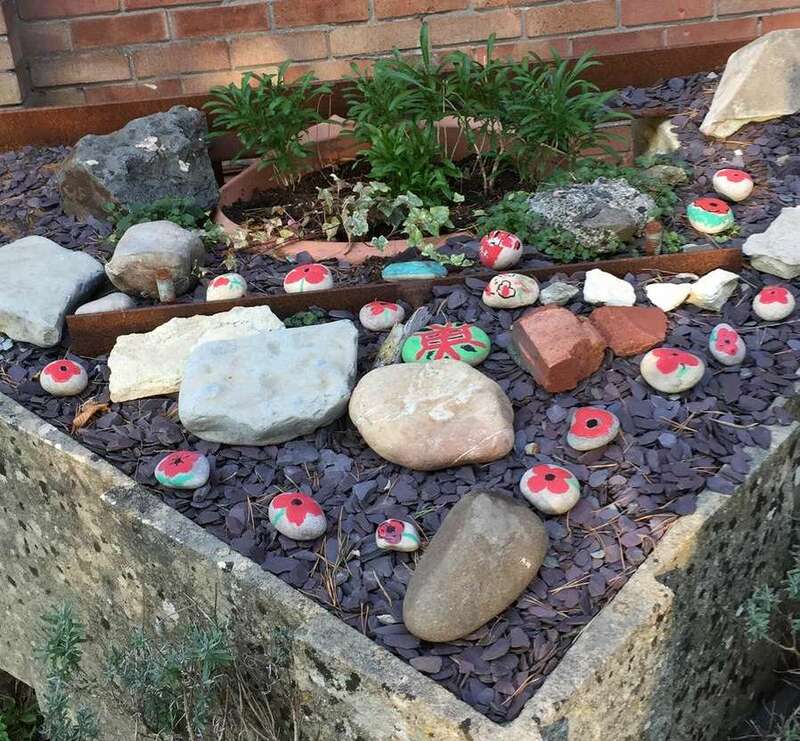 A memorial tribute produced by the Forget Me Not Café for the “Bell Garden". 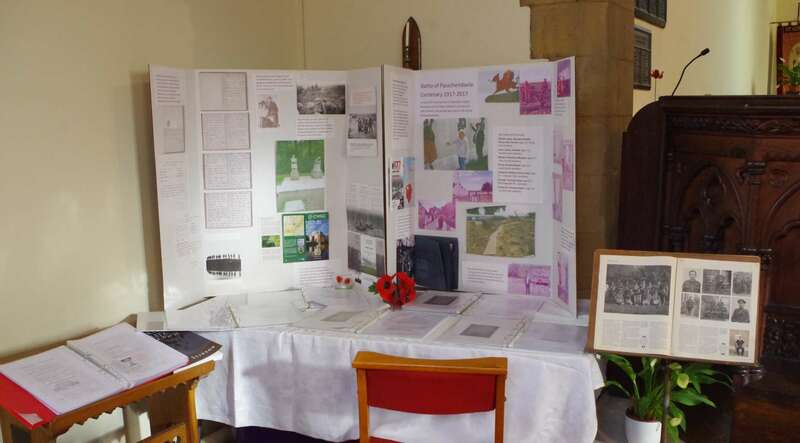 Remembrance Display at the front of the nave, including information about the people commemorated on the memorials, was been visited by hundreds of people during the Festival. 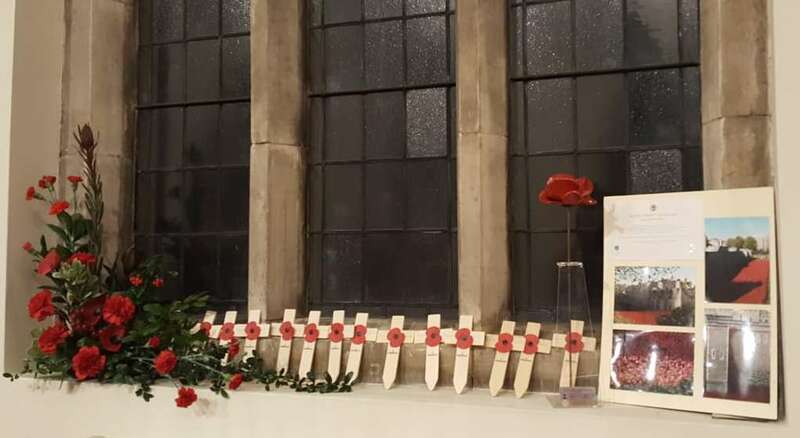 In the Act of Remembrance, members of the congregation read out the individual names and presented poppy crosses for everyone commemorated on the memorials. They filled all the window ledges. 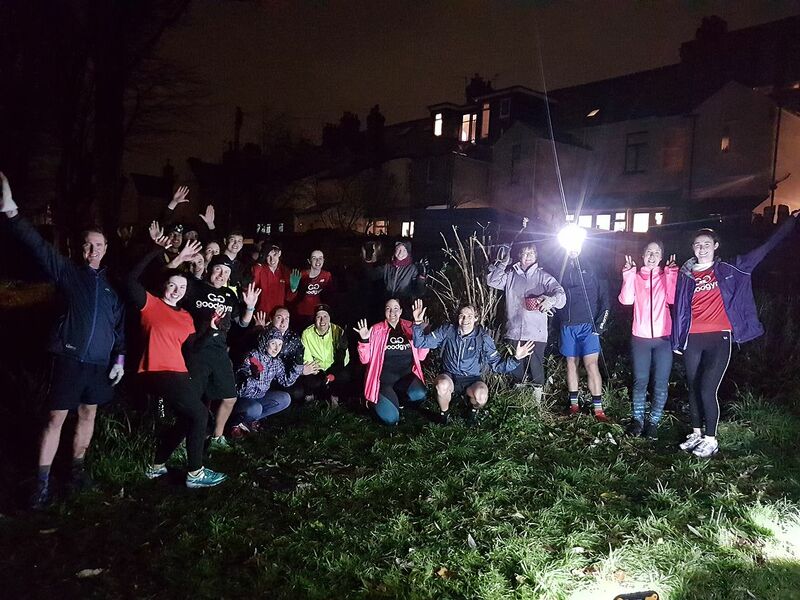 On a rainy day in December (Tuesday 4th to be exact), our wonderful friends from “Goodgym” visited us for the second time. On this occasion they cut back bushes, cleared leaves, gave the grounds a general tidy (and took lots of photos! 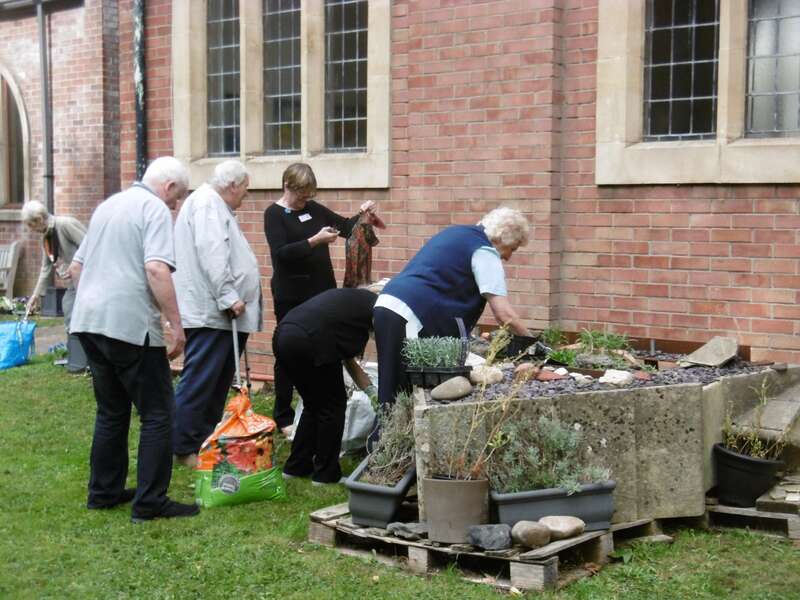 ), to help our ForgetMeNot Cafe and to get the Gardening as Therapy initiative up and running. Read their report here. 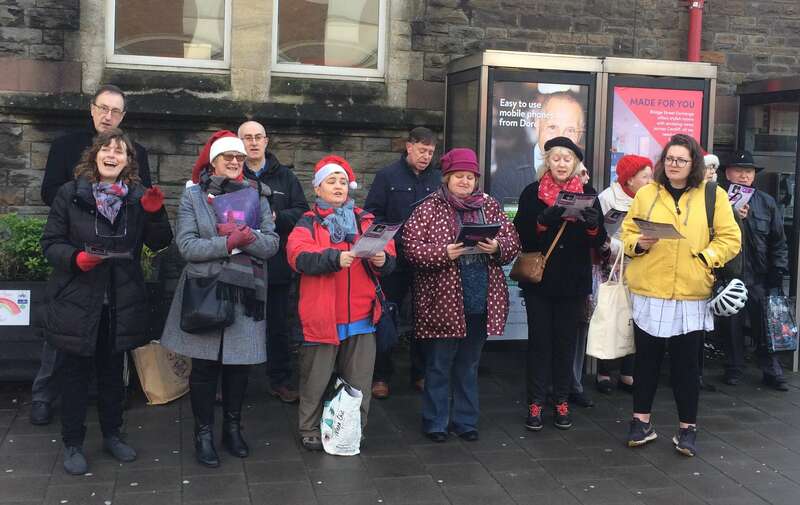 Joining with our friends from other churches in the "Churches Together" Carol Singing outside Albany Road School. 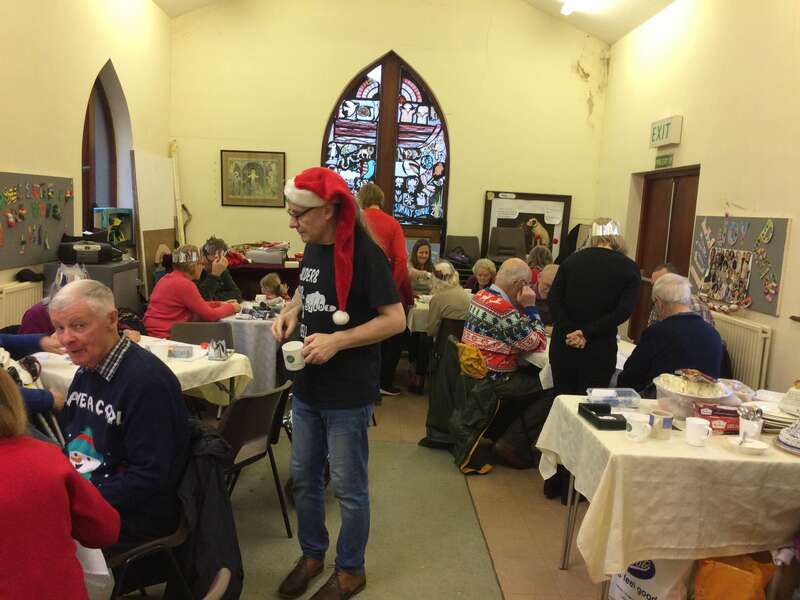 A great celebration of Christmas with the Forget Me Not Café. 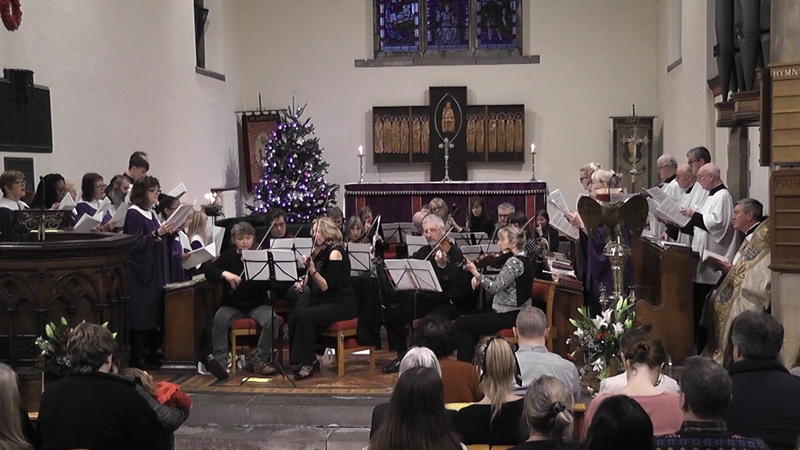 The Choir and Orchestra led the traditional Nine Lessons and Carols for a very full church. 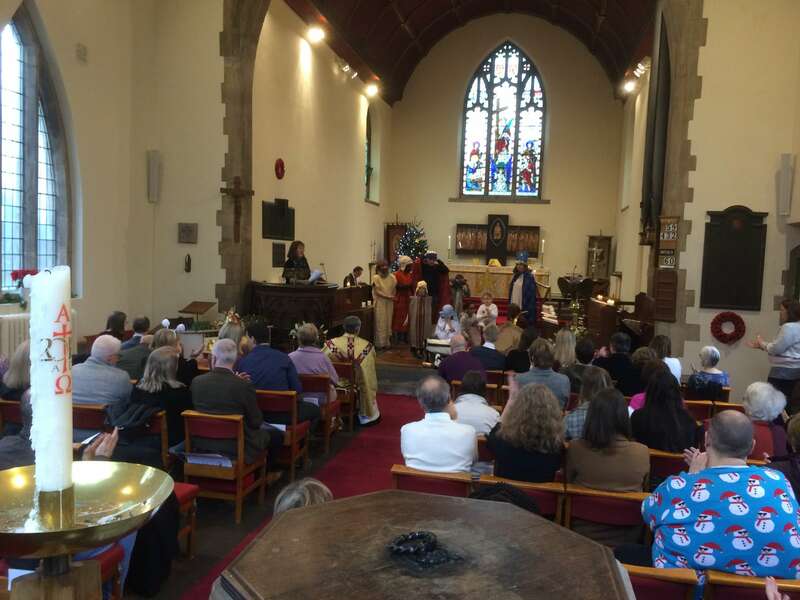 A lovely presentation of the Nativity by the Sunday School on Christmas Day.